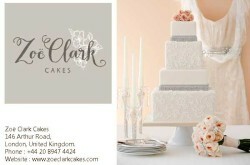 London based cake company designs and makes finest wedding and celebration cakes. 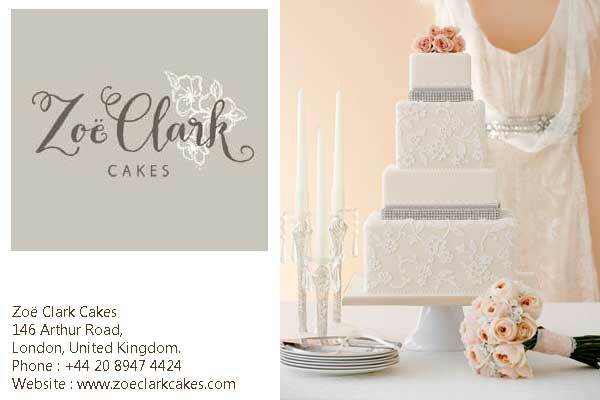 Zoë’s unique and elegant style is often inspired by beautiful fabric and art, and frequently features in international sugarcraft and bridal titles. – Wedding and celebration cakes. – Cooking Classes (Zoe’s The Cake Parlour in London). – Variety of bestselling books (Chic and Unique Wedding Cakes, Simply Perfect Party Cakes for Kids).